The Galería Javier López is proud to present Nordic Paintings, the second solo exhibition in Spain for John Zurier (b. Santa Monica, CA, 1956). It is a selection of paintings, most of which were inspired by various places from Zurier’s recent visits to Finland and Sweden. He is the son of a collector and has had a familiarity with art from an early age. As a young man, the feeling of solitude, silence and the emotional relationship to the works that he looked at in museums made a significant impression on his later development as an artist. Establishing such an emotional and natural connection with each canvas is what defines the three key elements of his approach to a plane surface: colour, light and composition. He himself has declared about his work: “I want the maximum sense of color, light and space with the most simple and direct means”. 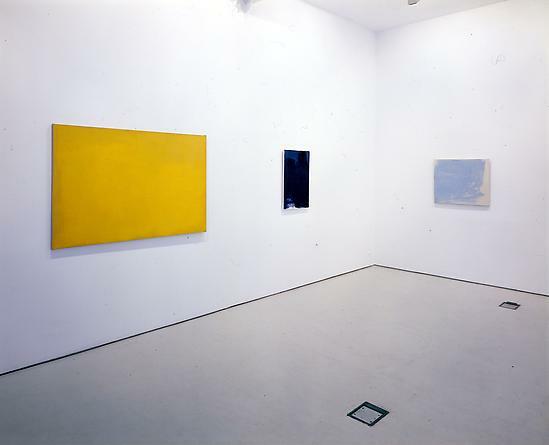 He is profoundly involved in the working process that builds up the canvases he is engaged in creating until he reaches the point which he recognizes as completion, and Zurier acknowledges that he works without predetermined rules, so that each decision in the process contributes to the final result. The search for a hue, the inspiration of tiny details, notes taken to record experiences (which he later transfers to his paintings) or his emotional engagement with the poetry of writers such as Paul Celan and Osip Mandelstam, all these bring their influence to bear upon the uniqueness and plastic beauty of his paintings. Since the Whitney Biennial of 2002, curated by Lawrence Rinder, John Zurier has consolidated his position as one of the most widely acclaimed contemporary American painters. 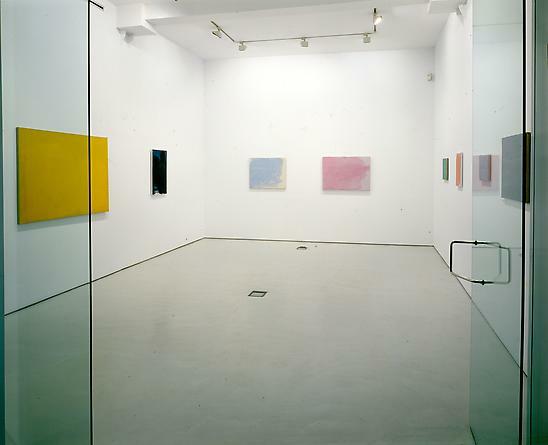 Even so, far from seeing himself as part of the traditions of abstract expressionism or minimalism, he considers himself as a painter to be concerned with what happens during the conception of a canvas, with the brush work—taken as a structural element of the work—which means that every painting inevitably has its own individuality. 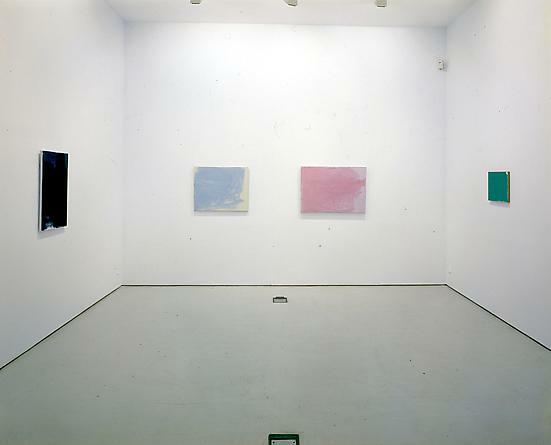 The solidity of his work with colour—almost always monochrome—and his painstaking technique of applying layers of paint, give a tone to the visual impression that is completely his own. The selection of paintings from the series Nordic Paintings on show here is graced with a lyric sense that has a zen-like quality, where shape, colour and the physical texture of the linen submerge us in an experience that is at once evocative and unique, where emotion—apparently beneath the surface—breaks through and confronts the viewer. 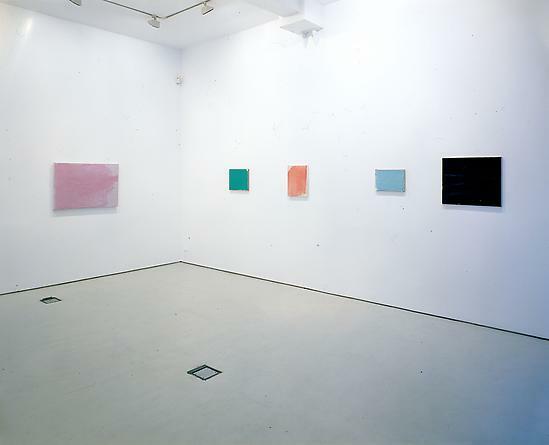 John Zurier has had solo exhibitions in San Francisco (2009), Philadelphia (2008), New York and Madrid (2007), England (2003), and his work was shown at the seventh Gwangju Biennial in South Korea. His paintings are in the collections of the Berkeley Art Museum, the San Francisco Museum of Modern Art, Oakland Museum, as well as in numerous public and private collections in the United States and Europe. He graduated in 1979 from the University of California at Berkeley, where he also went on to complete his post-graduate studies. He currently lives in Berkeley, California, and teaches at the California College of the Arts in San Francisco.